I love rompers! 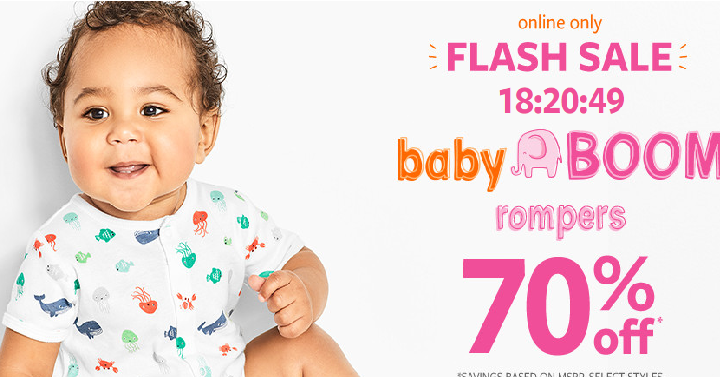 Carter’s takes 70% off Rompers for Boys & Girls + you’ll score FREE Shipping! No coupon code required. You’ll see the price listed. You can get super cute rompers for Only $4.80 Shipped! That’s a great stock up price. This would be fun for baby showers as well. With the free shipping, be sure to check out the other great deals going on.